With our recent series of agriculturally-themed post at an end, and with original blogger Jorn Barger's sage advice for other bloggers to “re-post [their] favorite links from time to time, for people who missed them the first time” still very much worth taking, here then are some of our past dealings with agricultural landscapes, in chronological order. On the vertical farm project. On Edible Estates, which is now in book form. On some wheatfield gently rolling in the shadows of the still standing WTC towers. On manuals for everyday living, by N55. On extreme horticulture, as captured by John Pfahl. On a patchwork of little Edens flourishing amidst the industrial landscape of South Central Los Angeles. 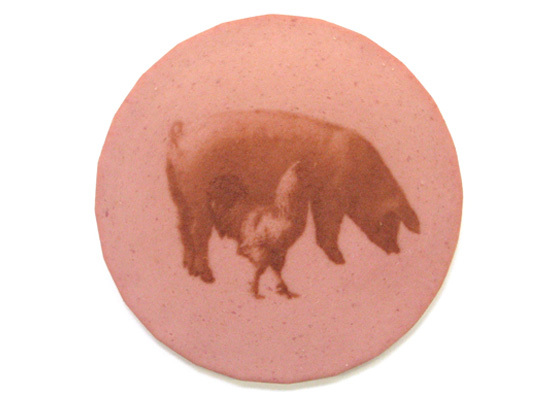 On the future farms of disembodied livestock. On Pharmland™, a favorite project. On farming fish inside retro-futuristic flying saucers. On Bolivia's Suprematist-inspired slash and burn farmers and loggers. On Our Daily Bread, a feature-length documentary produced by Nikolaus Geyrhalter. On hacking the American agricultural landscape with fruit-pickin' mechano-Hydras. On dairy cows and their amazing gyroscopic whirligig adventures. On Public Farm 1, a temporary installation for P.S. 1 Contemporary Art Center in Queens. On the subterranean farms of Tokyo.